Class Starts May 6th, 2019. Enroll now through the first week of class, Sign ups accepted through May 13th. See Enrollment information below. This fun and informative 4 week class shows you how to incorporate cartoon and graphic novels into your classroom or program lesson plans. You will learn simple cartoon techniques that you can teach your students and program patrons. Find out how Manga, Comic, Cartoons and Graphic Novels are being used in Education. They are also used to teach literacy and English. 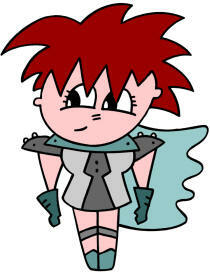 You will find many resources and learn how to create your own cartoons and even Manga. Along with learning how to create your own cartoon art you will learn techniques for teaching others. You will even learn how to use graffitti style in your art lessons. Here is what a past participant wrote after finishing the class. What I have gain through this workshop is that the idea about cartoon I had dramatically changed. Before taking this workshop cartoon was just having fun, doodling, and not educational. I didn't think I could use cartoon as an art lesson. After taking this workshop, I noticed that I was wrong. There are so many different methods to use cartoon in any subject. Drawing cartoon means just like writing. Students are required to take each writing step to make framed cartoons. Cartoon is very visual so that it would help ELL students understand new vocabulary. Art teacher can use cartoon drawing by cooperating with any art of element and principle of art. I would like to recommend this class for a teacher in any grade and any subject. Thank you for sharing many cartoon website for teachers. I can use them as my resources. s will be included in this week's topics. Find out how Magna and other comic styles are being used effectively to teach across the curriculum. Did you know that comics can even be used to teach English to ESL students? Unit 2-This week presents a huge supply of hands on exercises for you to practice your own comic talent. You will learn how to create cartoons from the alphabet and numbers and other simple shapes. Use this new knowledge to teach your students and library participants. Videos are included this week that teach Magna and other comic styles. Unit 3-Take the simple techniques you have learned and make them more complex this week. You will get more inspiration for classroom lessons and library programs while learning graffitti techniques to teach your tweens and teens. Anime, word toons, and name toons will also be covered. Learn how to incorporate animals into your cartoons repetoire. Unit 4-Create individual compositions and comic strips this week. Even more resources for creating programs and lesson plans using the story and artistic aspects of comics. Resources for online create your own comic will be presented. Cartoon Class for Librarians and School Library Teachers. Learn simple methods for creating basic cartoon, anime, magna, and graffetti art in this 4 week online workshop. Ideas and resources for generating lesson plans and programs for children and teens will be included in this online workshop format that includes lecture, video, and forum discussions. Cost for this 4 week class is $99.00 Library Invoiced Upon Request. Pay on Pay Pal Secure Site or Request an Invoice if your library is to be billed for the workshop.